The managers of the Facebook page for the DC-10 air tankers have organized a petition drive designed to convince the US Forest Service to award a long-term contract to 10 Tanker Air Carrier, the company that owns the aircraft. …For the health of our forests and the safety of our citizens, I urge you to offer a long-term contract to 10 Tanker Air Carrier…. Then it is converted to an email that is sent to Tom Tidwell, Chief of the USFS at his publicly listed email address. Your name and address will appear in the signature of the message. 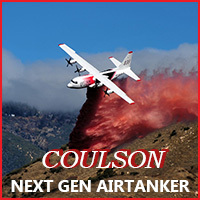 The most recent request for proposal (RFP) for exclusive use contracts for next-generation air tankers had a response due date of November 1, 2012 and awards based on the submissions could be announced within the next few months. 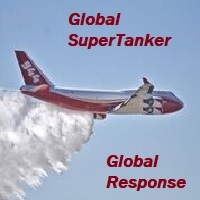 So while the USFS is pouring over the submissions from the air tanker companies, 10 Tanker Air Carrier hopes to influence the decisions that are being made by the federal government either on that RFP or those that may be issued in the future. It does not appear that the USFS will award any contracts for very large air tankers (VLAT) like the DC-10 on this most recent RFP and will most likely limit the awards to smaller “next-generation” air tankers that have a capacity of 2,400 to 5,000 gallons. However the agency has issued a “request for comments” on a draft VLAT RFP for call when needed aircraft only. The two DC-10s operated by 10 Tanker Air Carrier carry 11,600 gallons. The US Forest Service has not been interested in offering long-term exclusive use contracts for very large air tankers like the DC-10 or 747, and have only made call when needed contracts available. MAFFS C-130 crash, July 1, 2012 in South Dakota. US Air Force photo. The US Air Force has released information about the cause of the July 1 crash of the C-130 Modular Airborne FireFighting System (MAFFS) air tanker in South Dakota. More details are at Fire Aviation, but basically it was caused by strong microburst winds out of a thunderstorm. 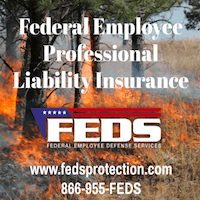 After a wildfire season that has wreaked havoc in Colorado, it is clear that we need adequate resources in order to fight these fires and prevent extensive damage to our forests and surrounding communities in our state and across the country. With the average Forest Service aircraft more than 50 years old, I am committed to modernizing our aerial firefighting capacity and working with my Senate colleagues to pursue every avenue available, including possible legislation, to ensure that the necessary resources are available to fight future wildfires. Statements like that are very nice. Who is NOT in favor of more air tankers after learning the startling fact that the fleet has declined from 44 in 2002 to the 11 we have today. Most of us are also in favor of more apple pie and walks on the beach. But saying, like others have said over the last year, that he wants more air tankers and making a vague reference to legislation will not rebuild the fleet. Actions speak louder than words. 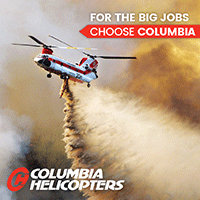 One of the primary reasons the number of air tankers is not scheduled to exceed 16 in the foreseeable future is that Congress and the President have cut the budget for fire suppression to the point that we can’t afford any more. 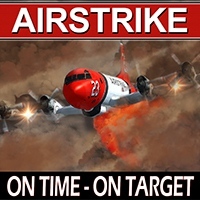 When Congressmen and Senators whine about having too few air tankers, they need to look in the mirror. 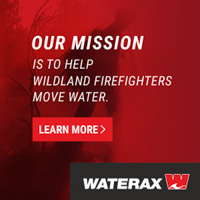 Senators and Congressmen have the power to actually INTRODUCE and PASS legislation that would increase the U.S. Forest Service aviation budget that could provide funding for more air tankers. The agency only has the money now to add seven to the fleet over the next two years, and that will happen only if they can get their contracting house squared away so that they can award the contracts that have been advertised. One of our readers has spotted what he says are three helicopters and one air tanker that show up in satellite imagery visible on Google Earth. Brian found them on satellite photos taken June 12, 2011 which show the Wallow Fire in eastern Arizona actively burning. Last month on Wildfire Today we had information about three aircraft that showed up on Google Earth satellite photos taken October 26, 2006 during the Esperanza fire in southern California. This link is a Google Earth KLM file that has place marks for all three aircraft. On that imagery, the air tankers were clearly visible. The four reported on the Wallow fire are not as clear, partly because three of them are helicopters, which of course are smaller than air tankers. But check it out yourself. Here is the information provided by Brian. You can copy the lat/long and paste it into the search box on Google Earth. Even if the aircraft are not super clear, it is interesting seeing the photos of the active Wallow fire which started May 29, eventually becoming the largest fire in Arizona history, burning 538,040 acres, which includes 15,407 acres after it crossed the border into New Mexico. Rick McClure just sent us this excellent photo of Tanker 41, a BAe-146, dropping on the Devore Fire in Cajon Pass in southern California. He used a Nikon D5000 and shot it at f/10 and 1/400. He was not miles away using a huge telephoto lens — he used a zoom lens set at 60 mm for this photo. The fire jumped Interstate 15 eventually burning 350 acres before it was knocked down by firefighters and aircraft. One more photo that Mr. McClure sent us is on our sister site, Wildfire Today. 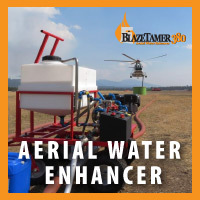 You may have heard about the wildland firefighter who was rescued from an approaching fire by climbing into a water bucket below a helicopter and being extracted to safety. 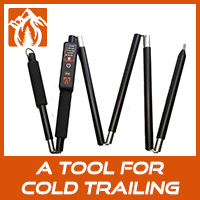 The story was first written up on our sister site Wildfire Today on October 1, 2012, and the followup details from a Facilitated Learning Analysis were posted there October 24. 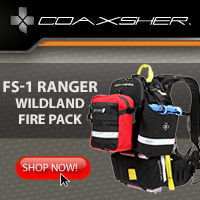 Some of us were wondering what the official response from the U.S. Forest Service would be. Might they throw the book at him for violating the rules? However, I doubt if there is a rule that says “Thou shalt not transport a human in a helicopter’s water bucket”. The USFS is not known for bleeding edge innovation in their aviation program. Most deviation from standard procedure is strongly discouraged. And rightfully so in most cases. You don’t want to screw around with rules that provide for the safety of pilots and firefighters. Fire Aviation is now able to disclose, with his permission, that the pilot was Joseph Berto. Congratulations to Mr. Berto! He may have saved the life of a firefighter. Much to our surprise, the USFS officially commended Mr. Berto by presenting to him the following plaque. on the Pole Creek Fire. need. 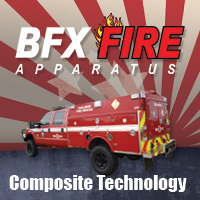 The fire community commends you for your actions.